← Day 10. Savannah, Georgia. We departed the marina at 8.45am and made our way up the Savannah River and moored on the City Dock adjacent to downtown. Savannah is like Brisbane when arriving heading up river with quite a bit of industry, it then blossoms into a beautiful city. River Street reminded us of Salamanca Place in Hobart or The Rocks in Sydney. Magnificent old Georgian cotton warehouses modernized internally into pubs and shops. Cobbled street with al fresco tables and chairs. Our boat was moored right alongside. We were going to stay overnight but the river traffic was brutal so we took advantage of the 3 hour free mooring and explored the town before leaving. 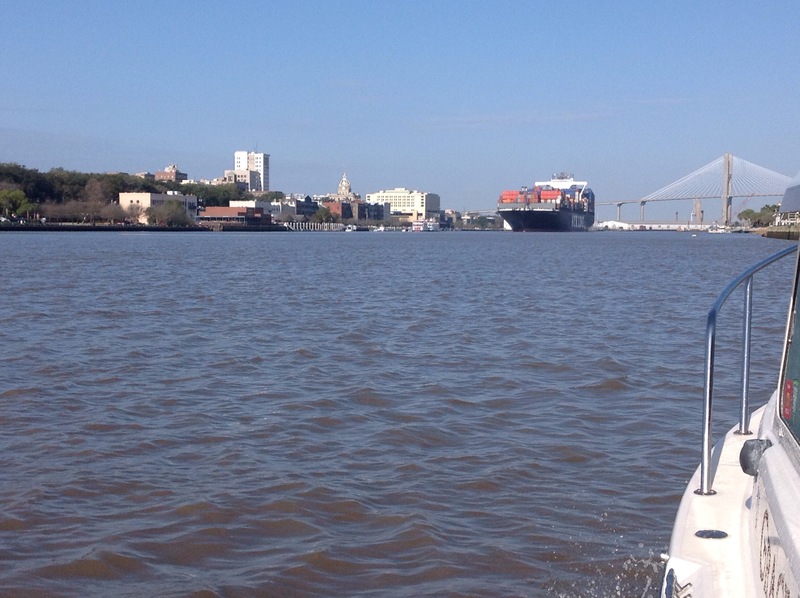 Savannah is the 4th largest port in the USA but only has 140,000 population. 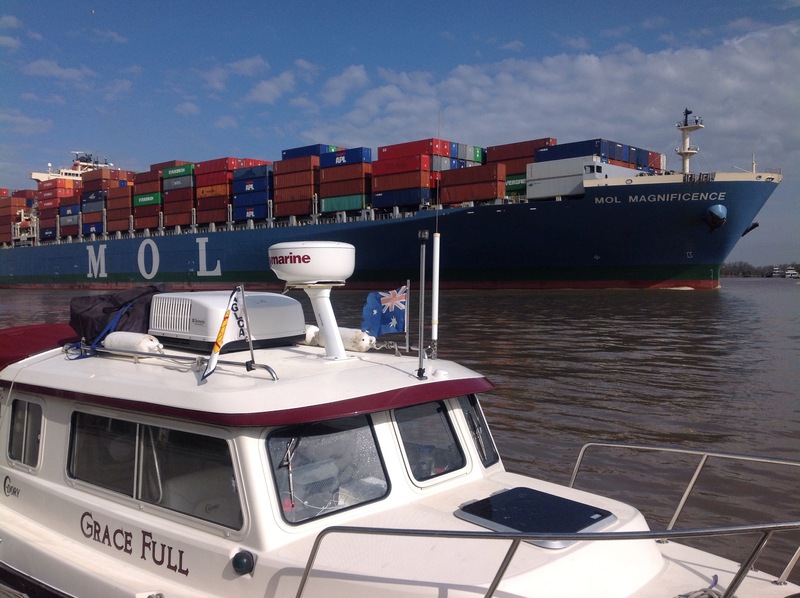 There was a constant stream of large container ships passing by the downtown area. Enjoyed the Ships and the Sea Museum with over 50 scale ship models, including a remarkable one of the Titanic sinking. Of interest also were the ships named Savannah, one in the 1800s was the first paddle steamer to cross the Atlantic and the one launched in 1959 was the worlds first nuclear powered ship. I also didn’t know that the schooner America, having won the first Americas Cup, subsequently returned here and became a blockade runner for the confederates during the civil war. Other ships could not catch her she was so fast. We left town at 1pm and ventured another 10 miles on the ICW to a sheltered anchorage in the New River. We have now crossed into South Carolina and are 300 miles from our departure point, Deland Fl. What a wonderful trip you have had so far and it would appear that the weather has been perfect, too. You would really have no idea of the enormity of this inland waterway, so it is quite a surprise to see the huge container ships using it. All the history you are floating past, too – just wonderful. I loved the boat shelter on the end of the wharf – it didn’t look very strong though. Does this area get hurricanes? It was nice to see the photo of Jen and Jack Dog on the pontoon, too – imagine you would be missing them.